Children learn best when they’re happy, active and engaged. Much like adults they also like to do things at their own speed and make their own choices. Playhouse provides an environment that enables children to play and socialise at their own pace. 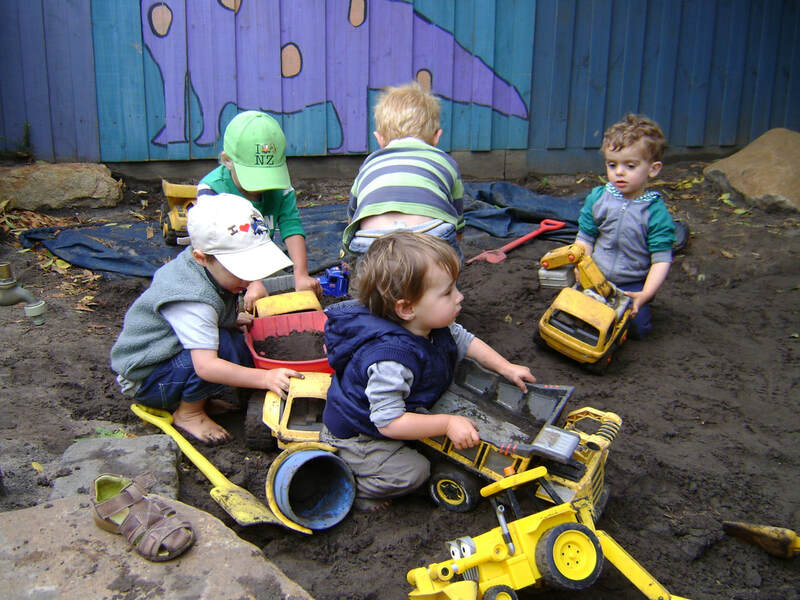 When the sun is out they can dig and splash in the sandpit, make pies in the mud patch, ride about in a car or trike and explore the garden. In any weather, they can paint, make cities out of building blocks or play dough, join a singalong or play show and tell. Playhouse staff nurture curiosity, independence and playfulness; ingredients essential to a lifelong love of learning. Most parents visit several occasional care and daycare centres before they find the one they’re looking for. We often find two things guide their decision: the approach of staff and the environment they create. The best way to know if you’ve found the right place is to sit down and watch children at play. Are they laughing, active and having fun? Are they busy exploring, discovering new things and making new friends? Do you feel at home here too? Playhouse is also a great place for parents to forge new friendships, in turn becoming part of the centre’s community spirit. Playhouse is located in a former residential address in Beaumont Street, Sandringham. It’s a two-minute walk to the station, a 10-minute walk from the beach and close to a public library, supermarket and local shops. Rather than a purpose-built crèche, it has the feeling of a friend’s house – a home away from home. With its large garden and outdoor play areas, it’s a place you and your child will immediately feel safe, secure and welcome. Early childhood is a crucial time in the development of children. Bayside Playhouse provides a nurturing environment where each child feels valued and safe to explore, create and communicate. A love of learning is one of the greatest gifts you can give a child and our stimulating, natural learning environments and play-based activities encourage children to express their ideas, imagine and experiment while they’re learning.